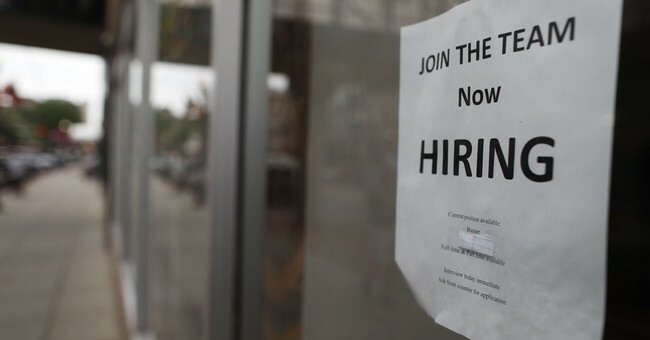 Job openings hit a new record high. Since March, the number of openings has exceeded the number of people looking. Inquiring minds are investigating the latest Job Openings and Labor Turnover (JOLTS) report from the BLS. On the last business day of July, the job openings level was little changed but reached a new series high of 6.9 million. The job openings rate was 4.4 percent. The number of job openings was little changed for total private and for government. Job openings increased in finance and insurance (+46,000) and nondurable goods manufacturing (+32,000) but decreased in retail trade (-85,000), educational services (-34,000), and federal government (-19,000). The number of job openings was little changed in all four regions. The number of hires was little changed at 5.7 million in July. The hires rate was 3.8 percent. The number of hires was little changed for total private and for government. Hires decreased in finance and insurance (-36,000). The number of hires was little changed in all four regions. Total separations includes quits, layoffs and discharges, and other separations. Total separations is referred to as turnover. Quits are generally voluntary separations initiated by the employee. Therefore, the quits rate can serve as a measure of workers’ willingness or ability to leave jobs. Layoffs and discharges are involuntary separations initiated by the employer. Other separations includes separations due to retirement, death, disability, and transfers to other locations of the same firm. The number of total separations was little changed at 5.5 million in July. The total separations rate was 3.7 percent. The number of total separations was little changed for total private and for government. Total separations increased in educational services (+26,000) but decreased in arts, entertainment, and recreation (-43,000). Total separations was little changed in all four regions. The number of quits was little changed in July at 3.6 million. The quits rate was 2.4 percent. The number of quits edged up for total private (+109,000) and was little changed for government. Quits increased in accommodation and food services (+61,000), other services (+49,000), and educational services (+12,000). The number of quits was little changed in all four regions. The number of layoffs and discharges was little changed at 1.6 million in July. The layoffs and discharges rate was 1.1 percent. The number of layoffs and discharges was little changed for total private and for government. Layoffs and discharges increased in retail trade (+53,000) but decreased in arts, entertainment, and recreation (-40,000). The number of layoffs and discharges was little changed in all four regions. The Econoday consensus estimate was 6.670 million openings in a range of 6.655 million to 6.90 million. The reported 6.939 million openings was a bit above the highest estimate. Openings jumped 1.7 percent in July to 6.939 million to easily top Econoday's consensus range. Hires, after posting a 1.2 percent decline in June, came in unchanged in July at 5.679 million. Year-on-year, openings are up 11.9 percent with hirings up only 3.3 percent with the latter now having fallen for three months in a row. The widening gap between openings and hires strongly suggests that employers are having a hard time finding employees with the right qualifications. The number of openings, for the first time on record, moved past the number of people actively looking for work in March this year. This gap also keeps widening and stood at 659,000 in July and raises the risk of wage pressures as slack disappears in the available workforce. Another sign of pressure, one watched by Jerome Powell, is the quits rate in this report which, up 1 tenth to 2.4 percent, is on the rise and what points to increasing willingness of those with jobs to look for better work.